Greetings from Emmental, Switzerland. 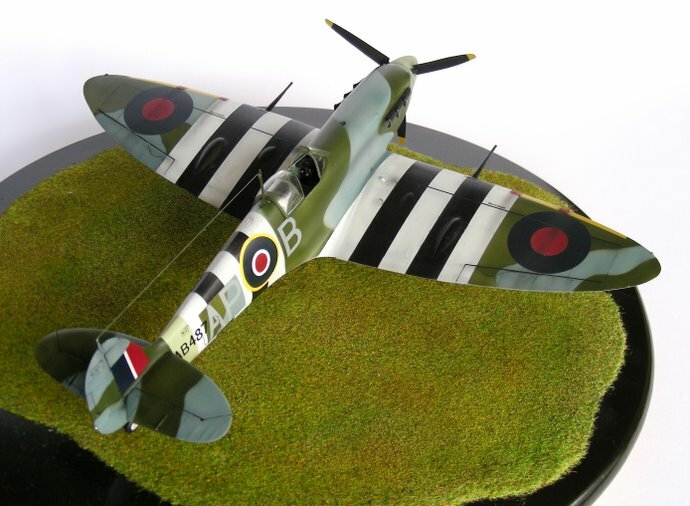 Here is my latest Spitfire, a 1/32 scale model of a Mk.Vb serving with No. 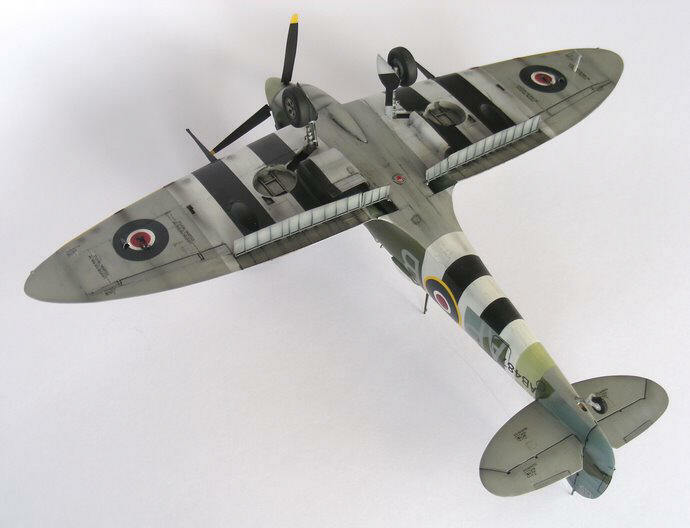 130 Squadron at the time of D-Day, complete with invasion stripes. Built from the Hasegawa kit. There is a somewhat funny story behind this choice of markings. 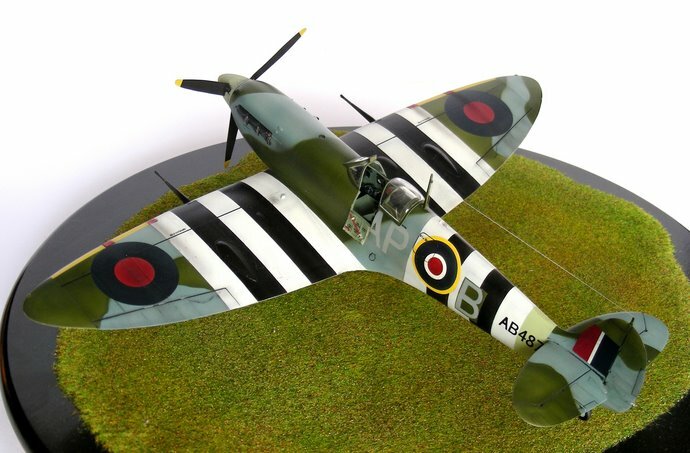 Some time ago, our son Jonathan received a present – a jigsaw puzzle with Spitfire motif. My wife laid out the puzzle which turned out to be a copy of a beautiful painting by Bill Perring showing a Spitfire Mk.V accompanied by two Hawker Typhoons zooming over the beach of Normandy at 6 June 1944. The picture fascinated me so much that I decided to model the depicted machine, and here it is.